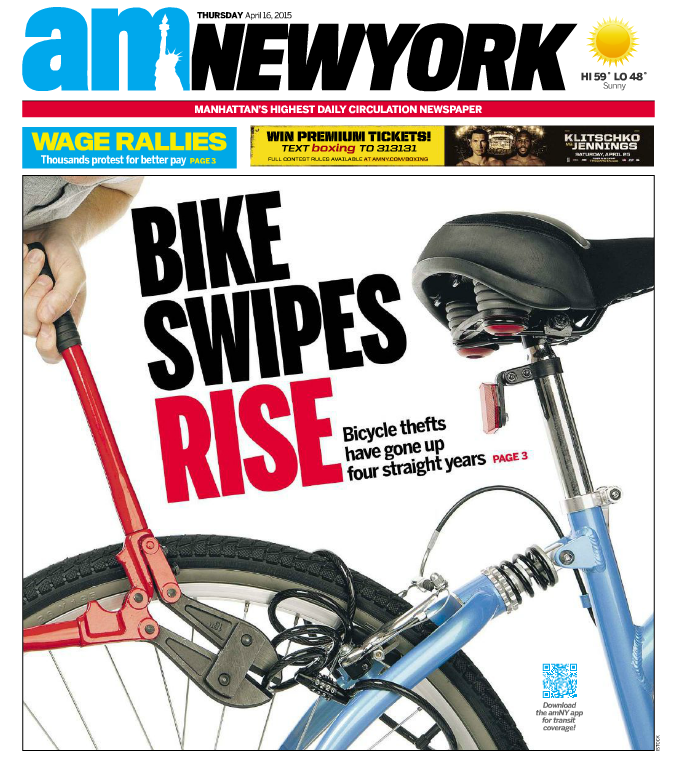 With any great trend in NYC, especially when it comes to bicycles and the increase in their popularity…comes the bad news. The increase of bicycle theft. To me this is personal, almost akin to a hate crime. How can one steal our trusted steads, our friends and companions? Also an analog non-polluting transportation solution in an age of inefficient mass transit, overcrowded streets and false claims that digital technology will make our lives faster. Bike theft also reminds us that we live in a city where you can’t just bike from one place to another without being very conscious of how and where you lock a bike. Here was the cover of a today’s AM NY. The city’s boom in bicycling has had an unfortunate side effect: more stolen bikes. 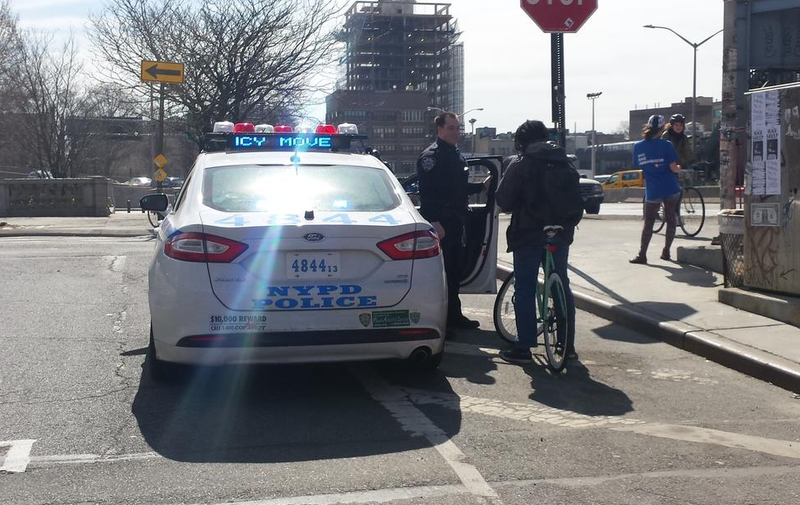 Reported bike thefts last year reached 4,849 — 600 more than in 2013 and a nearly 70% increase from 2011 figures, according to NYPD statistics provided to the City Council Wednesday. “The trend is upward” and likely the result of the surge in bicycle use here, Susan Petito, an NYPD assistant deputy commissioner, told the City Council. The stats showed a substantial increase in reported bike thefts each of the last four years. Yes, this is the reality we ride in. Make sure you lock your bikes up within your building. I know, you just humped a heavy dutch style vintage beater bike up 5 flights of stairs and now you have to lock it to the railing? Yes. Many bike thefts occur within buildings, backyard spaces and other make-shift bike storage that landlords are too cheap to provide. Here are some steps to keeping a bike as-safe-as we can. Then check out my bike locking tips on my Stolen Bikes Page. There is only so much we can do to protect ourselves, especially from thieves who drive around in vans with battery operated 18 volt angle grinders that can cut through any lock in about 10 seconds.